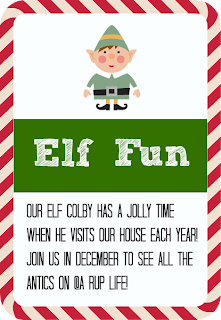 A RUP LIFE: Elf Fun - What will Colby do next? 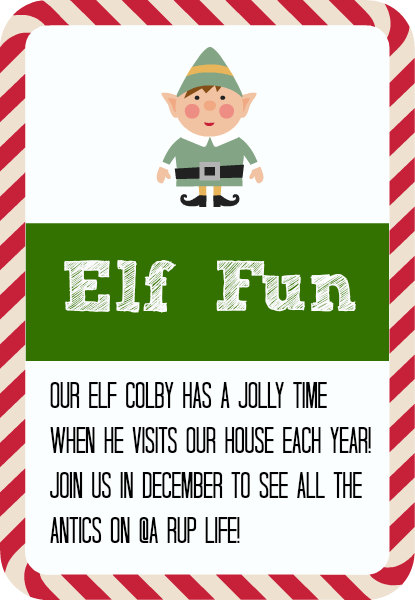 Elf Fun - What will Colby do next? When Colby arrived we found him in our Christmas reef. This year his antics might not be as exciting because it is only our three old really searching for him. He tends to hide in things like the play kitchen, on the book shelf, or by the tv. This way a little person can easily find him! Sometimes he does do some silly things like pretend he is Peter Pan and fight Captain Hook! What fun things has your elf been up to this week?